We put our heart in manufacturing the surface grinder machines. We offer precisely engineered hydraulic surface grinder machine and CNC profile surface grinder machines built by following international norms and conditions and tested as per IS 2743: 1992. As being an ISO certified company; we offer steady range of hydraulic surface grinder machine. We believe that no words can explain quality than quality itself. With the help of our sound infrastructure, we have developed inventive designs to implement successfully all kinds of customized solutions. We invest on R & D today to help you to stay competitive with qualitative job tomorrow. Our CNC premiere profile surface grinder machines are equipped with digital servo motor and counter weight balance device. 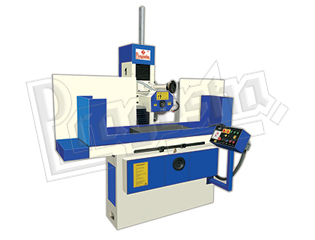 Our offered ranges of machines are most advantageous, engineered with high precision. Our provided ranges are proved highly economic. We believe that it’s an issue of experience and expertise to cut down the expenses regarding production. Our sound infrastructure makes us able to cut down cost at every level of manufacturing process. Well established facilities help us to stay competitive. Our price for all ranges of surface grinder machines is due to our brilliant execution of integrated team work. 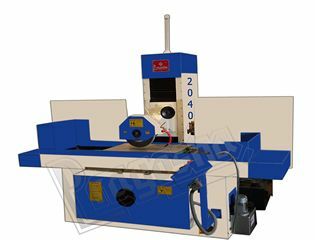 As being an ISO certified company; we offer consistent range of hydraulic surface grinder machine and CNC profile surface grinder machine with highly affordable price. Fully computerized machines are easy to install, easy to maintain. We are one of the reputed manufacturer, supplier and exporter of the hydraulic surface grinder machine and CNC profile surface grinder machine. In order to get high finishing procedure, our CNC premiere profile surface grinder machines are equipped with digital servo motor and counter weight balance device. Our machines are fabricated with international standard and tested as per IS 2743: 1992. To get perfect geometrical shapes with precise measurements, these machines provide an ideal and unmatched option. With the help of our sound infrastructure, we have developed inventive designs to implement successfully all kinds of customized solutions. We are recognized manufacturer, supplier and exporter of the hydraulic surface grinder machine and CNC profile surface grinder machine. We are ISO certified company providing high quality machines. We possess well developed infrastructure with highly established area of ahmedabad with all required facilities like transportation. With tenure of state-of-the-art production facilities and high set-ups, we provide finest quality of surface grinder machines. Surface grinder machine in ahmedabad has tremendous scope for the domestic as well as international market.